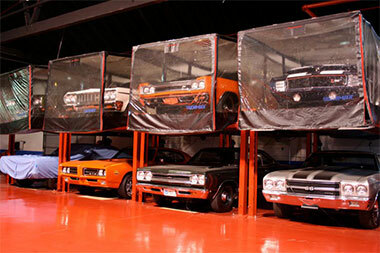 The Hot Rod Hotel is the solution for those who have the passion for collectible and performance cars, motorcycles, and boats, but do not have the proper space to keep them or the time to maintain them. Our 12-acre parcel is an oasis offering clean, safe, affordable, and user-friendly storage and services. In other words, we can properly store all of your “toys” and maintain them as well if you desire. The Hot Rod Hotel is inspired by the results of one too many personal encounters with less than professional mechanical and restoration shops. The handshake rentals in backyard garages that ended up damaging my prized collectibles instead of preserving them further fueled my desire to provide this service.